I’ve been playing round with getting good quality compressed speech with LAME. (See here for iTunes.) Here’s what I’ve found. 1. SMALLEST FILE SIZE ACCEPTABLE QUALITY. 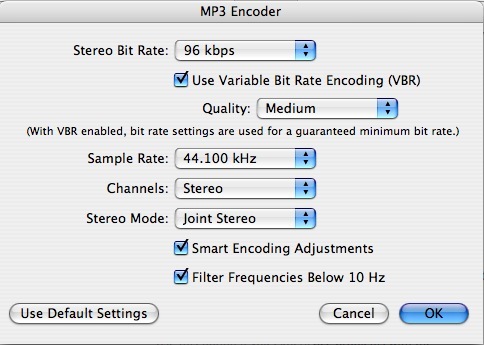 Here are some better options, note that the higher bitrate does not always sound better! I think a lower bitrate decreases the frequency of the lows pass filter so in some cases lower bitrate sounds better as it takes of the harsh tops, depends on the person and how their voice sounds. You can hear some low pass filtering on the above speech, the highs are missing, but this can make for a better listening experience with spoken word, it can be less harsh. 3. BETTER QUALITY AND ACCEPTABLE FILE SIZE. 4. BEST QUALITY. Use iTunes. Although LAME is better for music, and lower bitrate spoken word, iTunes is great for 40kbps spoken word and above. 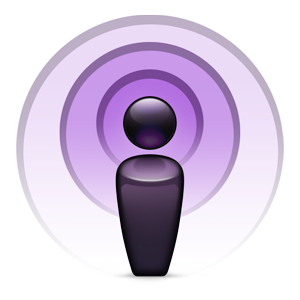 CLick here to read about the best settings on importing spoken word into iTunes here.